Product information "Aeotec Multisensor 6"
Motion for security. Motion for presence. Motion for management. MultiSensor 6 motion sensor is perfect for more than just an intelligent security system. 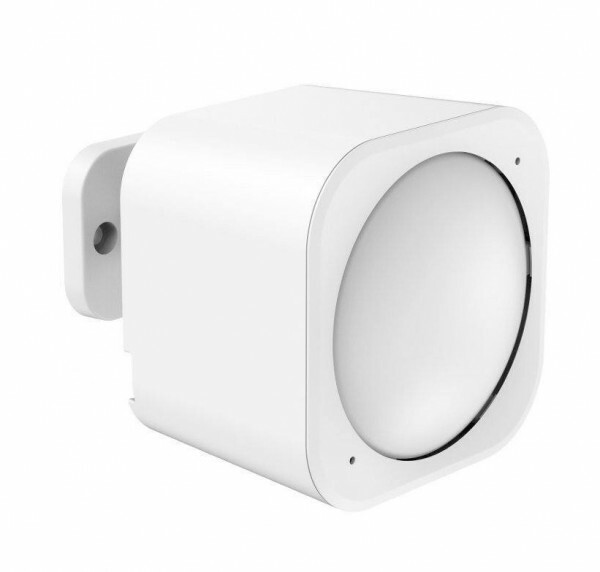 With a 5 metre range and a 120° field of view, MultiSensor 6 captures motion data that can be used for everything from security to heating management to energy saving. Knowing if a room is occupied or a hall is being used is a powerful piece of data – MultiSensor 6 makes your home automation system more powerful and more intelligent. From motorised curtains and windows to fans and thermostats, there are a lot of ways that you can use Z-Wave to keep the temperature of a room absolutely perfect. MultiSensor 6 provides the intelligence to do just that. Within each sensor is an incremental temperature sensor capable of accurately measuring between -10~50°C (14 to 122°F) and reporting temperature changes back to a smart home gateway. Automated lighting is only as smart as the system that powers it. With MultiSensor 6 real-time, digital light sensor measuring the level of light in a room, your home control system will be able to intelligently maintain its ambiance. From opening and closing curtains, to setting lights to be the perfect level be it day or night, MultiSensor 6 is the smarts behind smart lighting. It measures the environement its in, and it also measures itself. MultiSensor 6 contains a seismic sensor capable of detecting and reporting event-based vibrations. Those slight changes can be used to protect MultiSensor 6 – it knows if an intruder is tampering with it or if the sensor has accidentally moved from its place of installation. It also be able to record subtle seismic activity within your home. Perfectly managing an environment means understanding it perfectly. MultiSensor 6 accurately measures ultraviolet light the kind of light that causes everything from furniture bleaching to eye damage. Measured inline with the World Health Organisation UV Index, MultiSensor 6 measures a room UV level so that an environment can be managed through curtains, shades and lighting, and so that health and property recommendations can be made. Perfect battery life is perfect for every installation. For all those times, MultiSensor 6 can be run on mains power. Simply connect it to your home electricity using the provided USB cable and MultiSensor 6 will be able to run in an advanced mode, providing temperature, humidity and light readings in real-time. Related links to "Aeotec Multisensor 6"